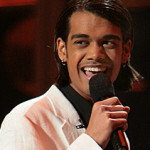 My curiosity in American Idol 2007 died after the eviction of my favourite “Sanjaya Malakar”, but as they say “The show must go on, no matter whatever happens”. With a heavy heart I started supporting “Jordin Sparks”, she touched my heart and she was the only one left with good looks and voice. I am happy that she won. Jordin Sparks 17-year-old from Arizona became the youngest ever winner of American Idol, after viewers cast a record 74 million votes. Jordin Sparks beat Blake Lewis, 25, to the top spot on the US’s most watched television show after the singer captured the hearts of viewers with her bubbly personality and big voice. The two finalists embraced after host Ryan Seacrest announced the winner of the sixth season of the contest, with Sparks, dressed in a long, flowing gold gown, having difficulty catching her breath. “Thank you so much for everything — Mom and Dad, I love you!” said the emotional teenager, who along with the American Idol title will receive a recording contract. Jordin if you ever get this will you email me?